As a business owner, you know that the success of your business depends on various factors – and not just on the quality of your products or services. In fact, the world in which we live is so competitive when it comes to business that you really need to be unique and extremely dedicated if you want to achieve actual, genuine success. And this also means that you have to put yourself out there, under your clients’ noses. You have to compete with tens and maybe even hundreds or thousands of other businesses that basically sell the same thing as you do – and convince the people to come to you instead of running towards the other businesses similar to yours.That’s a tough job indeed. But it is more than doable. And a very important thing in the way you influence people to choose you over other businesses is related to the fact that you need a proper marketing strategy. You need to create a brand, an image, a message and you need to apply a series of techniques to bring these in front of your potential clients. But even more than that, you need to be the actual mirror of your business – and “you” includes your business office as well. Your office is the first contact many clients and business partners will make with your business and you really need to be presentable. Just the same as you will dress up nicely when you make a presentation, you will also want your office to be “dressed up” nicely as well – and this includes proper cleanliness as well. How do you obtain that? Here are some tips we have gathered along the way: 1. Maintenance, maintenance, maintenanceTeach your employees to value the organisation and cleanliness. While you may hire professional cleaners, they will never be able to deal with each of the personal work spaces your employees have - that’s their job. Make sure they always keep their things tidy and provide them with desks that help them do that (with drawers and plenty of space). Also, make sure that you do attract someone’s attention when their office doesn’t look OK. While this may feel like you are a kindergarten teacher and not a manager, it will work if you use the right words. 2. The common areas Aside from each employee’s office, there are also many common areas in an office. The bathrooms, the kitchen and the lobby are among them. Sure, you will not put your employees to scrub off the bathrooms, but reminding them that they all use the same space should give them a hint that they should try to maintain the good appearance and functionality of those places. 3. 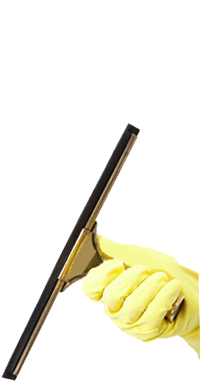 Excellent Cleaning Services Hire a really good cleaning company to come in at least once a week and to ensure that everything is properly clean. Your employees can be assigned with various tasks (such as taking care of their offices and taking care of the common areas such as the kitchen), but they should not have to stay in longer than they already stay in order to clean the office. That would really get them against you – and you really need your employees to like working with you if you want to be successful! Your office shows who you are as a business and, same as with every piece of advertising you pay for, it will say something about the quality you offer too. Make sure your office looks organised and nice and your clients will trust you more! Description: Booking our cleaning company in Sutton you receive an immaculate carpet cleaning SM2, upholstery cleaning, curtain cleaning, window cleaning SM1, etc.